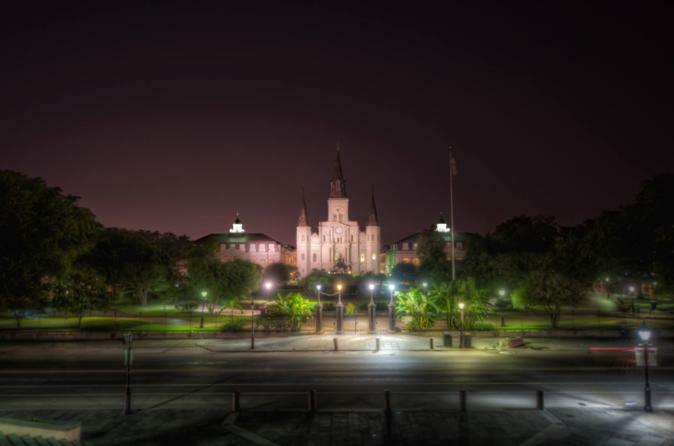 The Ghosts of New Orleans Tour will take you to New Orleans' most haunted locations. On this 90 minute ghost tour, you'll learn the secrets of the French Quarter's ghosts and haunted past. The Ghosts of New Orleans Tour visits the most famous haunted locations in New Orleans on this all-ages haunted tour. This tour provides exclusive access into some of New Orleans' most haunted buildings. On The Ghosts of New Orleans Tour you'll visit: New Orleans' haunted restaurants and hotels where you'll see where to eat or stay in a haunted location, the infamous LaLaurie Mansion where you'll hear the true story behind this famous house, sites of grisly murders and crimes where the victims still haunt the living, and homes of famous residents whose ghosts still walk the halls of their past lives.